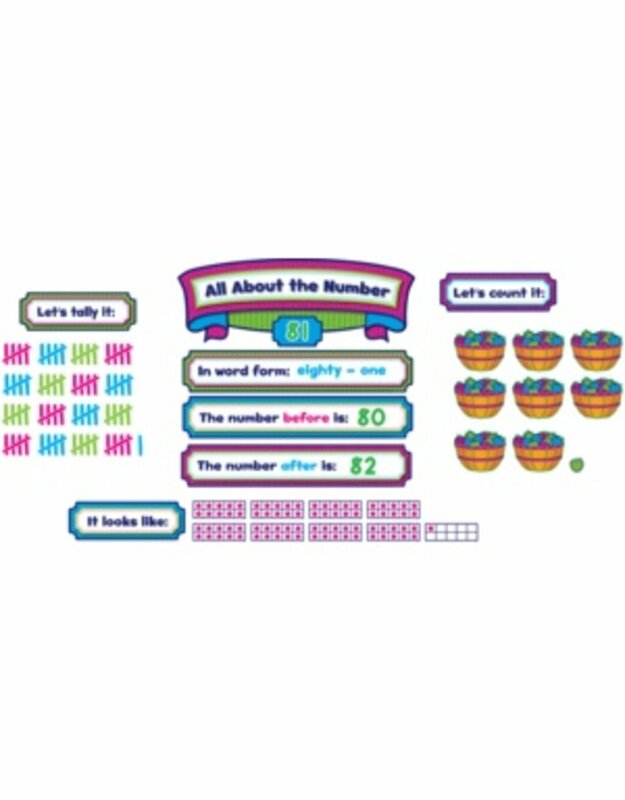 Teach students about the multiple ways in which numbers can be expressed. Display any number from 1-100 in word and numeric form. You can also use tally marks, count by tens, and show the numbers that come before and after. Title piece is 22-1/2" x 8-1/2. 144 total pieces.